Darjeeling, the queen of the hills is known for its tea and the world heritage site of DHR (Darjeeling Himalayan Railway). 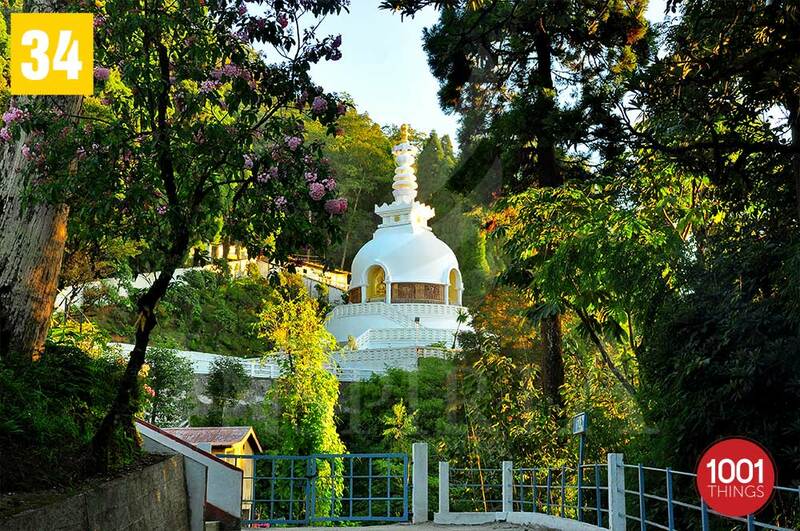 The peace pagoda, Darjeeling has been made to help bring people together from and creed and race in their aim to look for peace. It was made under Nichidatsu Fujii, a Buddhist Monk from Japan. 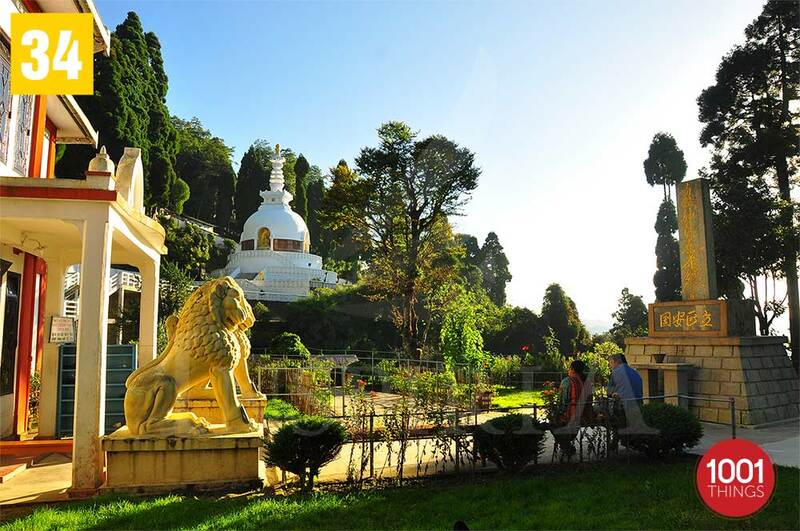 A fabulous Japanese Temple is located 10 minutes away from the heart of Darjeeling town. It is a two storied building which was built in a traditional Japanese style, in the year 1972. 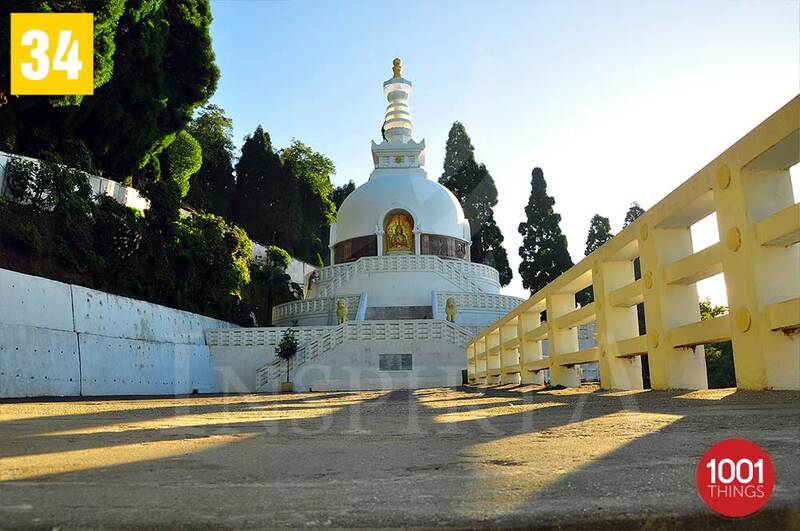 Just adjacent to the temple, a peace pagoda is located which highlights the four avatars of the Lord Buddha. On entering the temple, there is a picture of the founder Fuji Guruji. 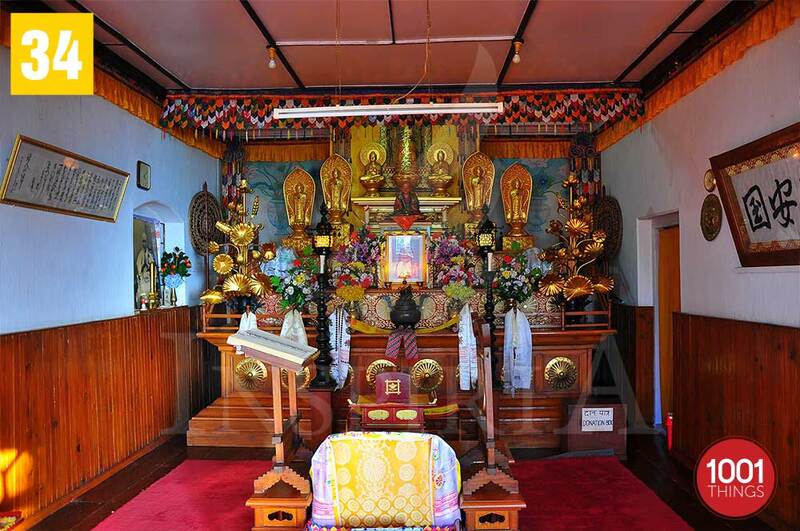 Statues of Lord Buddha is also there which suggests that it is a Buddhist religious temple. As you walk up the wooden stairs there is a large prayer room. The prayer timing is from 4.30 am to 6.30am morning and from 4.30pm to 6.30pm in the evening. People can also join the prayers and get a chance to feel the divine peace that the temple offers. You will be offered a small drum pad and a stick which you can use to drum in the same rhythm. While you are leaving you will be offered a small sweet balls as a sign of deity’s blessing. Photography is permitted inside the temple but is prohibited inside the prayer room while the prayer is going on. 100 yards away from the temple a peace pagoda is situated. 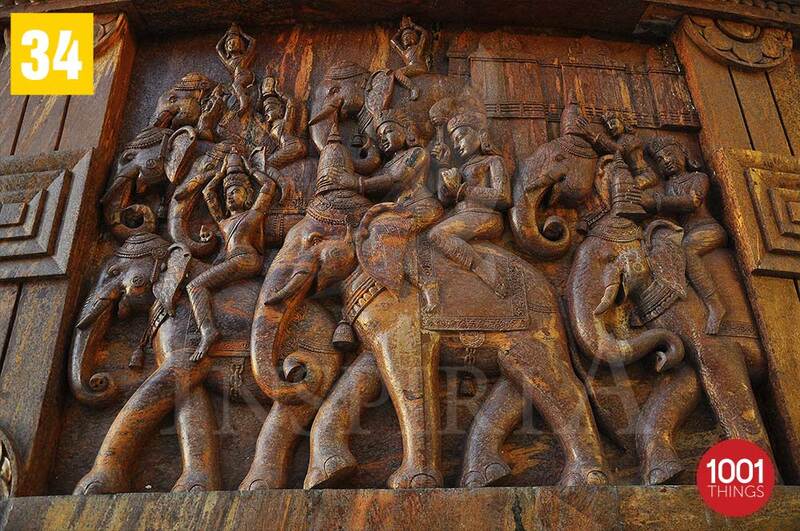 It showcases the four avatar of Lord Buddha. 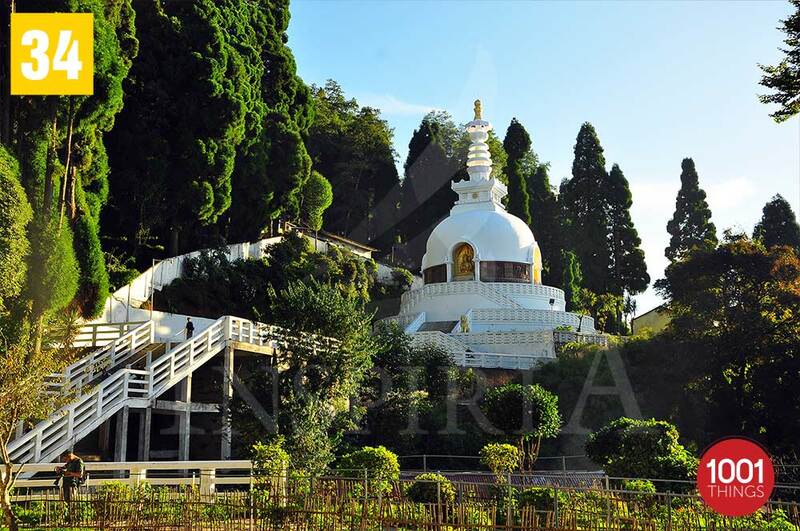 It is the tallest structure in Darjeeling having a height of 28.5 meters. Two concrete models of lions are visible as one climbs upstairs. 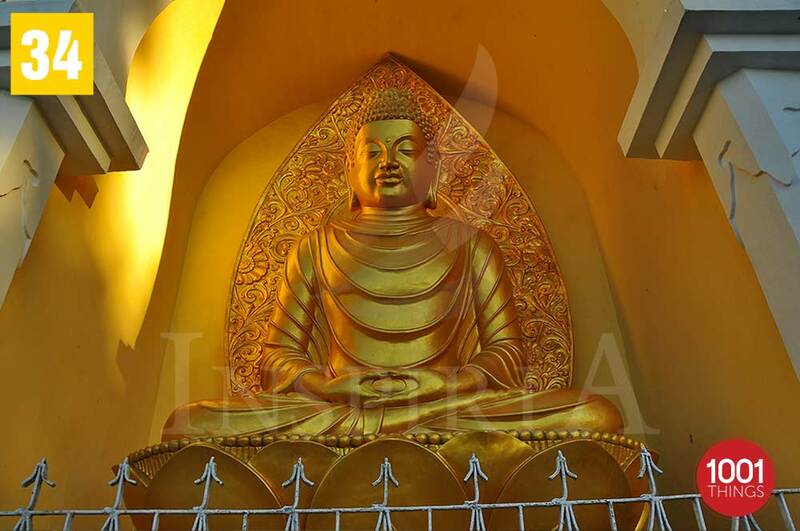 Large statues representing the four avatars of Lord Buddha are carved on the wall that are polished in gold colour. It was designed by Dr M Okha of Japan taking three years to construct. While taking a walk around the pagoda one can notice a beautiful artwork, etched on a sandstone that looks like a wooden framework which depicts the life of Buddha and his relics. Stunning views of the mountains and snows peaks are visible if one happens to be there on a clear day. 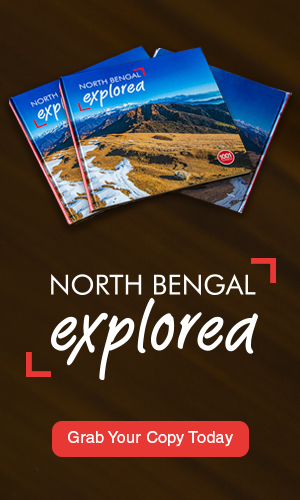 It is one of the most popular destination in Darjeeling. The temple is open from 4.30 am morning to 7pm in the evening. There is no admission fee for entering.